You can back up your iPhone/iPad/iPod Touch with the iCloud. It will store all of your settings and other important stuff, so if you need to restore wirelessly (if you got a new device for example) - it's the easiest way. The backup is automatic and is done every time your device is charging, locked and connected to a Wi-Fi network. You can restore your iGadget from iCloud, but first you need to connect it through iTunes, perform a standard restore procedure (downloading and reinstalling the iOS) and then chose the iCloud restore option. Apple gives 5GB of free storage for iCloud sync. Now this may not sound enough, but actually it's more than enough. Your purchased music, apps and books don't count in this storage (except the app's personal data such as saves, settings, etc.). So the things that eat that storage are app's data, contacts, mail, photos, calendar events, backups and personal documents. Of course, there is an option to buy more iCloud storage - you can get 10GB additional storage (to those 5GB) for €16 per year, 20GB more costs €32/year or you could opt for 50GB additional storage to your free 5GB for €80 per year. Refunds are available too. It’s Google Maps again and it means the iPhone 4S doesn’t offer proper SatNav out of the box. You know what we’re gonna say next then – AppStore. At least Google Maps have the benefit of a fully integrated magnetometer (digital compass). Last year many full-featured sat-nav applications made their way to the App Store – iGO, TomTom, Navigon, etc. Every one of them will do for the average Joe. A SatNav capable iPhone with a proper car kit is a good enough replacement of any standalone navigation solution. User ratings will help you decide which ones are worth it. There are also numerous web sites that do app reviewing with videos and everything, so you can get pretty much all the information on any of the available apps. The Apple AppStore is currently the largest official repository of apps with more than 500 000 titles available. Yesterday we decided not to stand between you and your desire to upgrade to the iPhone 4S. We got part of it wrong though. For true believers, getting the latest Apple tech is never about something as mundane. They don’t just upgrade, they get elevated to a new level of well-being and fulfillment. One would think the biggest problem of the iPhone 4S is that it isn't an iPhone 5. Go ahead and say it to a phone whose launch broke sales records and sent the bereaved company's stock soaring. But this is not what people should care about either. It's not the place for what ifs. The truth is Apple will really need to step on the Fast Forward button with the iPhone 5. A massive challenge - and they need time and a clear mind to do it right. It's not the right time for Apple to go for speeds that may throw them off course. It would be wrong though to look at the iPhone 4S as a mere time-buying move. In fact, the iPhone 4S has the right measure of Fast and Forward in it. And some of it is to be taken literally. 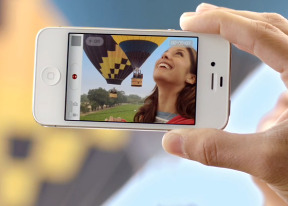 The iPhone 4S is blazing fast on the new dual-core CPU and graphics chip. And by the way, this is a long-term asset - new apps and services will take advantage and they'll be exclusive to the 4S. The iPhone is finally up there with the industry's finest cameraphones too. In fact, it may well have the best 8MP stills and Full HD videos a mobile phone can produce. iOS 5 is busy making a difference too with the iCloud, iMessage, OTA updates, new notifications and voice recognition. On top of that you get the best app store and the brilliant looks of the original iPhone 4. When you add it all up, Apple have a smartphone that can match and even outclass formidable peers like the Samsung Galaxy S II, the Galaxy Nexus or the Nokia N9. 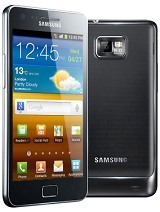 In the US, it will be the likes of the HTC Amaze 4G and the Verizon DROID RAZR. USER: Do you know a better phone than an iPhone 4S?